Looking for a job, internship, or co-op? Register for this event to meet employers recruiting talent across all majors and degrees. 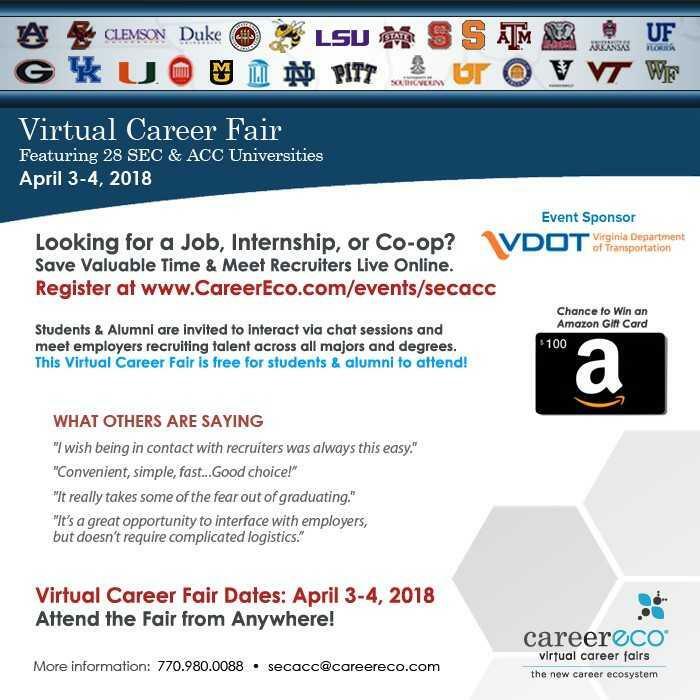 The virtual career fair will be held April 3-4th and features 28 SEC and ACC universities.